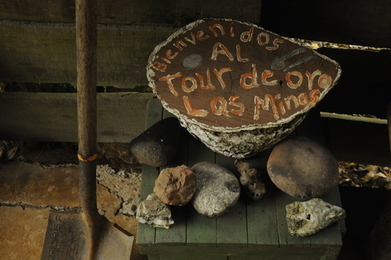 Offers the experience to get to know the work of artisanal gold miners and visit the famous river where gold miners mined for gold. The tourist will be able to try their luck in the process! You can go horseback riding from Rancho Quemado to our project. Focused on raising and maintaining a diverse species of butterflies in appropriate housing for the visitor to see. The butterfly farm is full of species native to the Osa Peninsula in Costa Rica. Learn about the life cycle of butterflies, metamorphosis, and enjoy a beautiful botanical garden! Learn how to make a snack or meal traditional to the region of the Osa Peninsula made with fresh ingredients from local farms. Enjoy the freshly made delicious food that has been made and take the knowledge of the recipe home with you! A traditional, artisanal sugarcane mill that displays the unique process of producing sugar cane juice, syrup, and sugar cubes like it's been done for hundreds of years. Participate in the milling process from the beginning to the end, and top the tour off with a glass of refreshing juice and samples of other products! A chance to walk the community's hiking trail, and explore an intact primary forest that has not been exploited or touched by man. 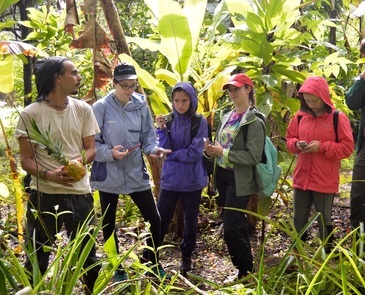 In such an intensely bio-diverse place, there is opportunity to learn about plant species that are not found anywhere else in the world, as well as traditional, medicinal medicine. A traditional milk farm which shares the experience of homegrown, sustainable cattle. Understand the workings of a milk farm, practice milking a cow, and participate in the process of making cheese, sour cream, cottage cheese, and more. as well as sample various products made straight from the farm! Take the opportunity rent horses with a local guide, touring the community and it's surrounding areas on horseback. There is also the possibility to travel by horseback to several different tourist projects that Rancho Quemado has to offer! During the organic farm tour, learn about how to grow products that thrive in the local ecosystem. Each organism serves a purpose here! Pick fruit off the trees and bushes to taste, worry free of fruits saturated in pesticides. Then get your hands dirty and your face cleaned up with a chocolate face mask as part of the cacao tour. Learn the technique of making handbags from a ancient fiber, Cabuya. An all women's co-operative preserves the artistry that's been used for hundreds of years in the past from the northern province of Costa Rica, Cartago. All tints to dye the fibers are made from organic products native to the southern region of Costa Rica. Ever wonder where heart of palm comes from or how it's produced? Tour a local palm farm to learn to learn the process of raising this produce, from planting and processing to putting it on the plate! At the end of the tour, participate in a brief cooking class, learning how to prepare the food to make a local dish. The best way to understand the mysteries in nature and it's critters is by entering into their world, the most bio-diverse place on the planet! Learn about a world not seen by the naked eye or known by the average visitor. Nocturnal walks through the community or trails in the rainforest lead by a local guide will open you up to the world after dark. Share in a unique experience, hearing short stories shared by the communities first settlers. The exchange between youth and elder create a unique dialogue of familiarity and understanding. Support the community's development in the process by supporting a generation that typically is forgone! An expedition guided towards adventurous people interested in knowing the habits and trails of wild animals. This is an alternative to development for rural families and a new option of local tourism, decentralizing visits to Corcovado National Park to appreciate the nature from the heart of the Osa. Learn something new everyday! During this tour, the visitor will have the opportunity to go on walks throughout the community monitoring and recording different plant, bird, and mammal species accompanied by local staff trained by biological experts. ​Come and enjoy the traditional dance of Costa Rica and the warm company of local instructors. The Trekking Watching Birds Tours, of The Singing Mountain consist in a walk through the trails, with 3 hours longing starting very early in the morning, there, you will be served breakfast with coffee while we tell you the story of the place. Then, our visitors will watch the birds in the different viewpoints, surrounded by the peace of the forest, later you will be given a delicious lunch to go back to the town or if you want to spend the night there, we also have a nice Cabin.